A Taste of Home | What an Amazing World! For the first six months of 2012, my wanderlust has brought me to six countries as well as some destinations in Indonesia. New interesting stories, unforgettable experiences, memorable photographs, new friends, funny-tasting local delicacies and beautiful memories have enriched me in a way only traveling can do. But there are times when going home is anything but less interesting. To me that happened last month when I went back to Semarang in Central Java, the city where I was born. More than one year ago, I wrote a brief history of Semarang and some of its unique places in this blog. However, last month I decided to plunge myself into the city’s rich culinary heritage more scrupulously than ever, trying to identify the familiar yet exotic spices in every dish. The results? Five days of bloated stomach but satisfied taste buds. 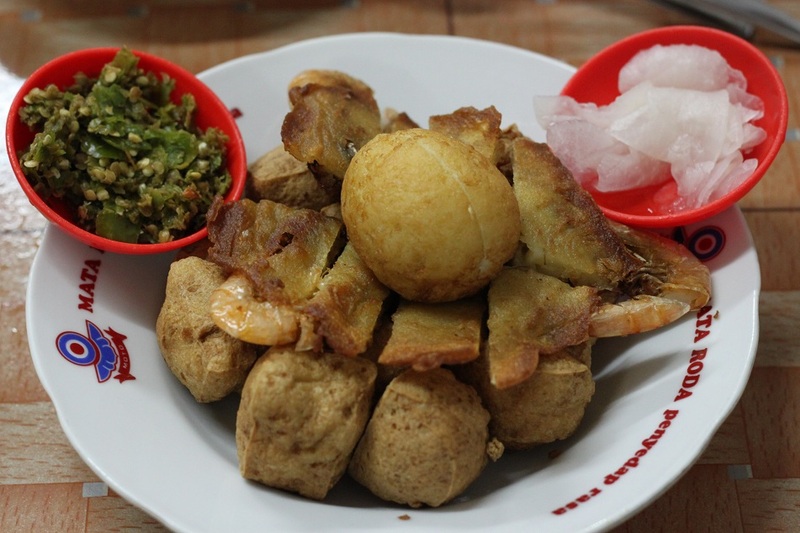 Semarang’s culinary is noted for its diffusion of Javanese and Chinese cuisines. Dishes like lumpia (spring rolls stuffed with bamboo shoots and eggs), soto semarang (soup with rich concoction of various tropical spices which comes with skewered quail eggs and clams), tahu petis (fried tofu stuffed with sweet shrimp paste) and tahu pong (fried tofu and egg served with shrimp gravy, chopped green chili and turnip) are some of Semarang’s most famous delicacies which make enough reason for some people to pack their bags and go all the way to this hot and humid city. 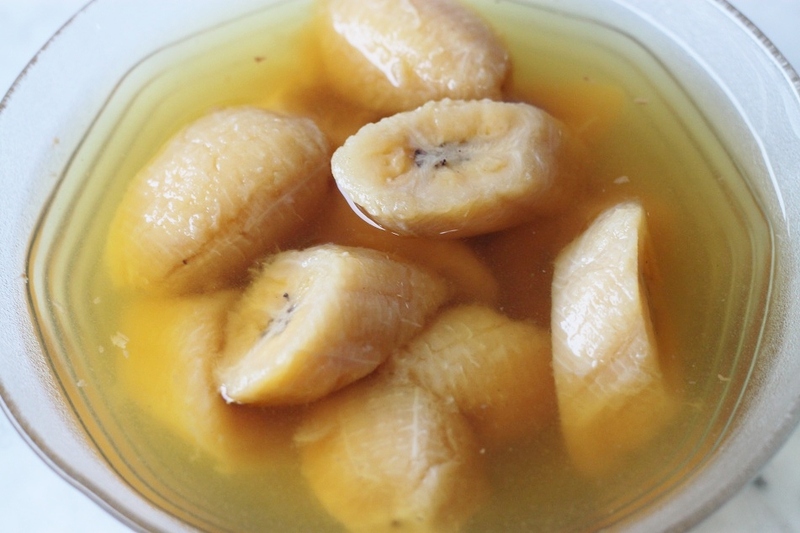 The following are only a few of wide selections of local dishes, with the exception of the smoked ray served with burning red chili on a mortar and kolak stup (a stew of banana with a hint of cinnamon) which were made by my mother. Enjoy (the pictures)! The smoked ray looks particularly enticing — my compliments to your mother! Haha thanks Andrew! You’d better prepare a glass of cold drink as the smoked ray burns your tongue! (but tastes really good!). Oh my, it’s a good thing you didn’t post this an hour later! I would be ravenously hungry just by looking at these photos. I miss all the exciting flavours of Indonesian cuisine – it’s hard to believe I was in the country just a few days ago. We’ll have to have a feast when I come back in December! Beautiful photos Bama!! I bet you would James! In December you will be tasting more dishes, and even spicier sambal! Looking forward to reading your stories from the trip to Bromo a few days ago! Come to Semarang then! My mom has been asking me about you. Kapan-kapan mampir Ga! Ooooooh, why did I click on this post – whyyyyy?????? I have a bad case of homesickness and this post doesn’t help. You really don’t know what you’re gonna get until you try it. I hope it will be sooner than later for you to go to Semarang again. Finally, Bama! Aduh kangennya sama tahu petis and tahu pong yg enak. Kalo mi kopyok aku blm pernah coba’in. Lumpia Semarang is my favorite of all eggrolls in the world. Lain kali tambahin foto2 dr bakery2 Semarang ya… Roti keju, coklat, dll 🙂 (Permintaanku banyak ya, hahaha…. ) Your mom’s cooking looks divine! A bloated stomach and satisfied taste buds – nicely done Bama! Though they all look outstanding, I’d have to go straight for the first dish – your mother’s smoked ray with chili – that look incredible! Thanks Mark! 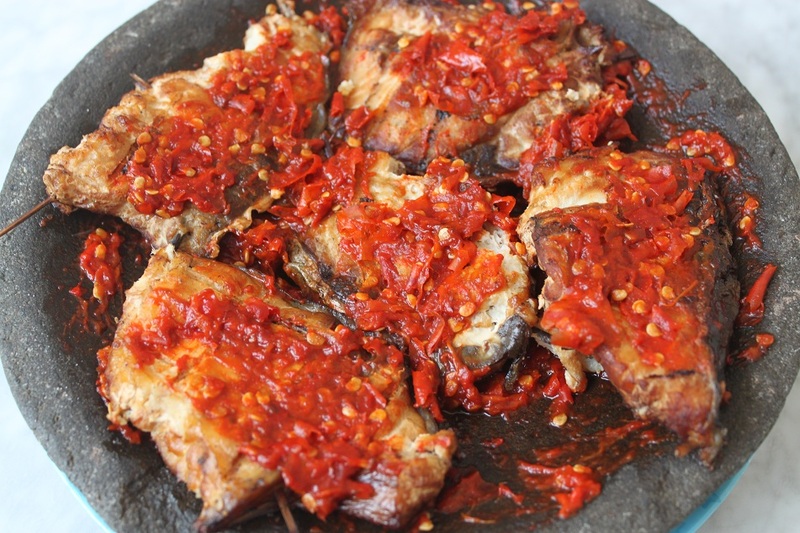 It seems like my mother’s smoked ray with chili has become readers’ favorite. 🙂 I should tell her about this. I thought your mom is very good in cooking and i am sure that Semarang have a lot of delicious foods. I went there in September 2012, and i ate tahu petis for the first time lol, weird taste but delicious. Thanks Danny! I think she will be proud when I tell her that this particular dish she made is so interesting for many people. Oh btw tahu I really love tahu petis. You have to eat it with green chili! You have to eat it with green chili! –> Oh yah?! Yes you do, Danny! It adds up the flavor as all chili and sambal do to food. Indeed! We are more connected to each other than we thought. Culture, music, language and food are some of the most apparent aspects where we share the same root. Have you been to the Philippines already? Yes, but only to Manila. In the future I want to explore more: Bohol, Banaue, El Nido, etc. Haha, Manila is too urban compared to the provinces you stated there. I guess there is more for you to experience about the Philippines! You went to six countries in six months?? I’m jealous. Good for you, buddy! Those food pics are making me and my husband hungry right now. Bama, if we go to Semarang would you promise to give us a culinary tour? 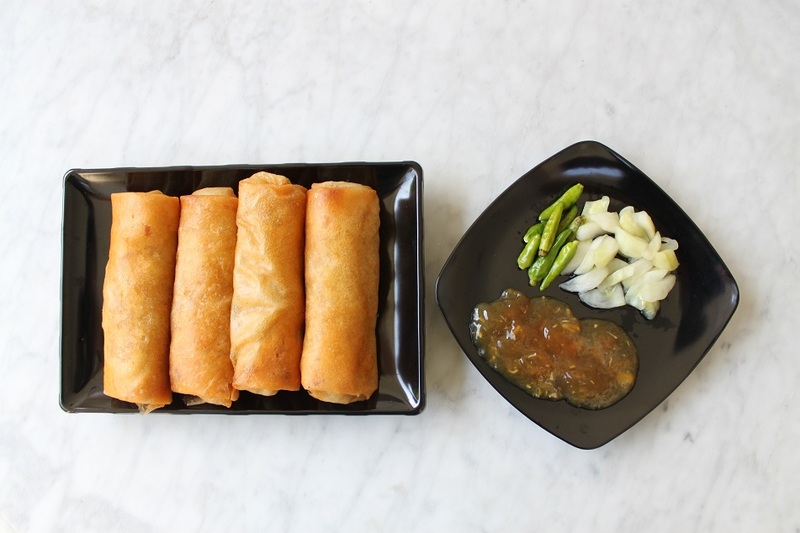 You know in the Philippines, we also call our spring roll lumpia but with a variation in stuffing. Well, I did that after I quit my old job and before I started working at the new company. So, it would take a while for me to do that again. However, I’m lucky enough because the next few months I’ll be traveling again to some other countries. For sure, Marisol. When you go to Semarang and I happen to be in the city at the same time, I would love to take you and your husband around. Actually I’ve also heard of that dish from the Philippines. The next time I visit, I’ll makes sure to try it! Let me know if one day you do come, Madhu! That food looks absolutely delicious – I’m hungry now! 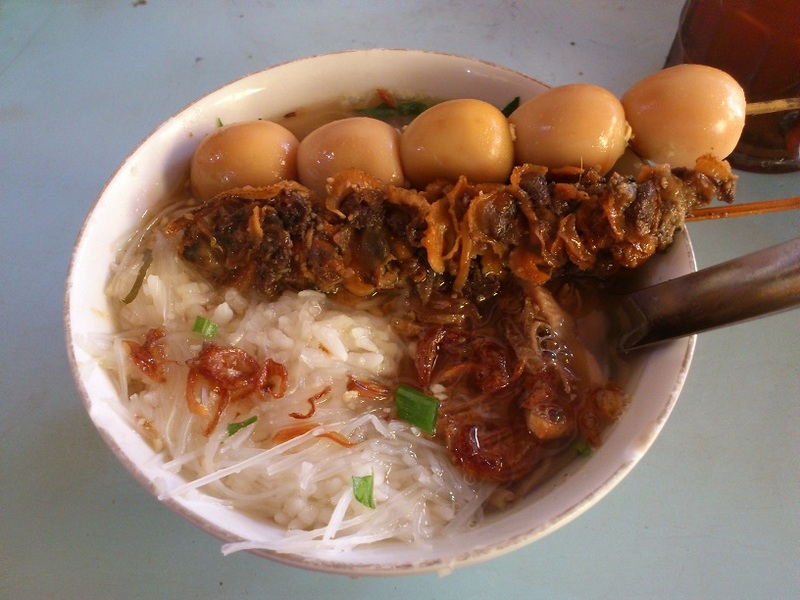 Oh I love how many eggs you got in your Soto Semarang! I hate when they’re skimpy on the eggs! All the food looks so good! I love all kinds of eggs, but quail egg is definitely one of my favorites! I should tell my mom. She would be very proud! Thanks for your lovely comment! I can see why they look similar because both originated from China. If I’m not mistaken they also have similar dish in Singapore. Thanks Randy! 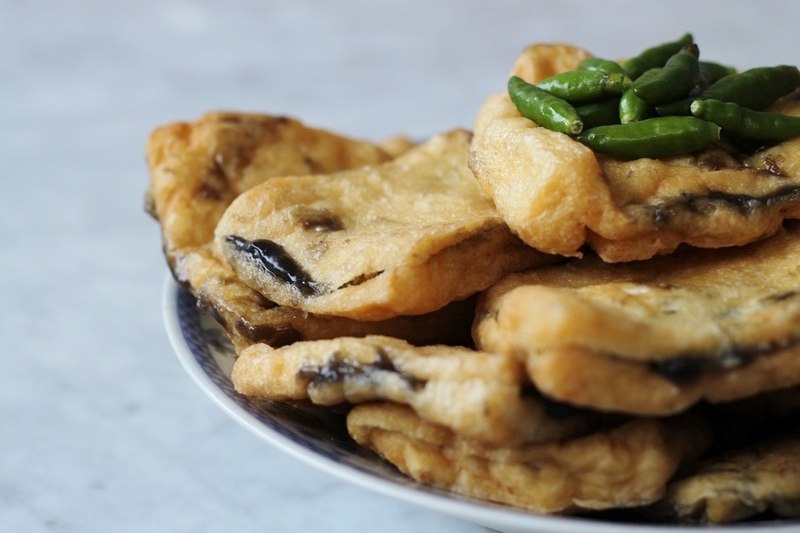 Pingback: A Gastronomic Adventure in Semarang | What an Amazing World! Pingback: Food Nationalism | What an Amazing World!